Passion flower tea is a calming tea made from the vine and flower of this plant. This tea is ideal to drink when you are under stress or just feeling the debilitating pain of a bad headache. A soothing herb with a long history of helping to fight pain, this is a tonic tea that everyone should get to know and experiment. Calm your passions with this wonderful herbal tea! Passion flower (in Latin, passiflora incarnata) is a beautiful flower that grows on fast-growing perennial vines. This plant is native to the southeastern part of North America down to Central and South America. Today it also cultivated in Europe. The vines grow to be about 9 meters long, with light green leaves, and bloom lovely blue to purple flowers with a fringed center. The fruit, passionfruit, is a yellow or burgundy fruit shaped much like an egg and is loved all around the world. Passion flower, sometimes spelt passionflower, is also referred to by other names such as passion vine, apricot vine, may pops, Jamaican honeysuckle or ancient vine. Its Latin name, passiflower incarnata, translates to "passion made real"
The name passion flower refers to the passion of Jesus Christ as 15th and 16th century missionaries compared the physical structure of the passion flower to the symbology of the last days of Christ and his Crucifixion. The Jesuits would call it the "flower of the five passions" and it was believed that grew on the cross, according the vision of St. Francis of Assisi. Finding in the New World was a clear indication that their mission to Christianize the continent was a blessed one. The five sepals and five petals are said to represent the ten of the apostles; the fringed crown of the flower would then represent the crown of thorns worn by Jesus; the five stems would be the stigmata/wounds. The color blue and white of many of the flowers are associated with Heaven and Purity. Passion flower may also serve as a symbol in other religions, for example in Hinduism its blue color is associated with Krishna, the god of love, compassion and tenderness. For a long time, passion flower was used by natives of the Americas as a medicinal herb. It was used for its sedative and calming properties. The colonists eventually took it back to Europe and start using this herbal tea to treat insomnia, hysteria and even epilepsy. It was also greatly appreciated as an analgesic. It was only in the 19th century that passion flower was formerly introduced in medicine, but today it is only sold as a herbal product as more scientific tests are still required to prove more accurately it effectiveness and its side effects. Many people still drink passion flower tea for its sedative and painkilling action. The plant is cultivated around the world for its fruit and you may also find passion flower today being used both in foods and beverages as a flavoring agent. 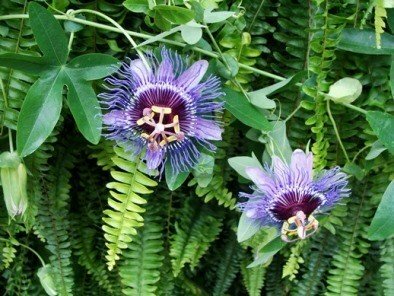 You may simply grow passion flowers in your garden for decorative purposes adding a bit of color and beauty with each flowering vine. Passion flower tea is rich in many components such as sterols, flavonoids, alkaloids, organic acids, vitamins A and C, calcium and magnesium. This nutritive herb has been found to provide a number of benefits when its leaves and flowers are made into a tea. The main benefit of passion flower tea is its ability to relax the mind and the body, soothing nerves and bringing on a calm and restful state. This could help you if you are feeling stressed and anxious. This herbal tea is a tonic for the nervous system, helping to strengthen your nerves and reducing anxiety by improving blood flow to the nerves. It may help with irritability, general anxiety disorders and bouts of hysteria, and also it may aid in cases of mild depression or stress-induced disorders. It is said that this herbal tea may help tackle insomnia, bringing on a restful sleep without so much of the drowsiness you may feel when taking other forms of sedatives. It may calm the mind and stop circular and obsessive thoughts that keep you up at night. It is normal to feel sad at times, stressed and upset at the way life is treating you. This happens to everyone and you are not alone. It is when these negative feelings persist over a longer period leading you to feel unworthy or hopeless to a point of preventing you from living your life that you may be feeling actual depression. Although what causes depression differs from person to person, you should seek help from a doctor as your situation may be more serious requiring medication or therapy. Don't be afraid to ask for help. We all need a hand at times. How can passion flower tea help? Passion flower tea is a relaxing tea that calms the body and the mind, reducing your feelings of depression. It slows down your crowding negative thoughts and also soothes the nerves. It helps you sleep when your most need it. Of course, if you are taking medication for your depression, make sure to talk to your doctor before drinking this tea in medicinal quantities. If your body has a hard time with some forms of sedative drugs, your doctor may find this herbal infusion a good alternative. Just remember to keep monitoring your progress with a professional. There is no reason why you do not deserve to live a good and healthy life. If you are dealing with addiction to smoking, alcohol or prescription medication, such as Vicodin or opiate painkillers, your days may be quite hard. You may not only be fighting whatever caused your addiction, but also the fact that you should not resort to your addictive substance. You may find your brain unable to function or focus properly. You become irritable and anxious, unable to sleep properly, which only makes everything much worse because you are now starting to feel exhausted, more sensitive and more likely to fall off the horse. Start drinking passion flower tea to help soothe your seemingly uncontrollable urges. 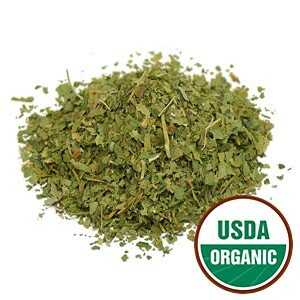 It will help soothe your frail nerves, relieve tremors and possible nausea caused by the withdrawal. This herbal tea may also allow you to rest at night without being so bothered by circular thoughts. This flower infusion is quite well known for relieving several forms of pain, providing analgesic effects. It helps to soothe tension headaches and toothaches. It may also be used to relieve back pain and fibromyalgia without many of the side effects of most sedative drugs. Passion flower tea may help to relax tense muscles, reducing muscle spasms and easing tension in the body. This may also be particularly helpful for those who suffer from seizures. Talk to your doctor about drinking this herbal infusion medicinally if this is your case. Its sedative and antispasmodic effects help to reduce cramps and improve digestive pains and intestinal colic that are often related with stress. A cup of passion flower tea may help to provide the nausea relief you need. If recommended by your doctor, you may try using this herbal tea to help hyperactive children or adults with ADHD maintain their concentration. This herbal tea is often recommended to calm nervous twitching and agitation. Further study is required, but there may be a case for drinking this calming tea to help deal with the unfortunate effects of Parkinson's disease. Drinking passion flower tea helps to improve blood flow, thus it may help to lower blood pressure. The sedative properties of this tea make it also a great ally if you suffer from hypertension. 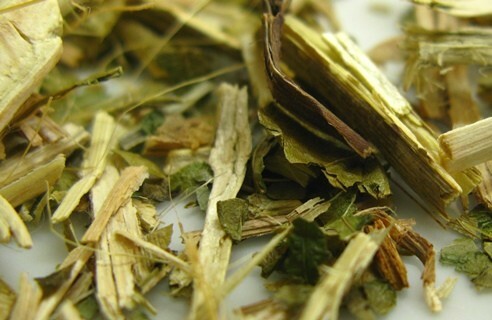 This herbal infusion may help with feelings of palpitations, irregular heartbeat or tachycardia. Get your heart checkout as soon as possible or if you experience serious heart pain, head to the hospital immediately. If you are taking medication for blood pressure or heart disease, then make sure to speak to your doctor before taking this tea medicinally. While it may be different for each person, your doctor may find that while you are drinking this tea you could reduce your medication. Passion flower tea may be helpful for men by boosting the production of testosterone balancing out excessive estrogen production. It may even act as an aphrodisiac. This herbal infusion is good for women as helps to soothe the pain associated with menstruation as well as relieving stress and other symptoms of PMS. Providing hormonal balance, this tea may regulate menstrual cycles. Women going through menopause may find that a cup of passion flower helps to relieve the symptoms of menopause, such as hot sweats and mood swings. This herbal tea shows antibacterial properties, killing off mold or fungus when applied topically. It is also great to clear the skin, relieve pain and reduce inflammation in the case of burns, rashes, irritation or swelling. If you are experiencing a herpes outbreak, you may use passion flower tea to help clear it up. You may also drink this tea to tone your nervous system as these outbreaks tend to be associated with stress. Take a sip of passion flower tea! Drinking passion flower tea may provide a helping hand when you most need it, but at the same time you should aware that it may not be suited for everyone. Although considered milder than most sedatives, there may be some adverse reactions to passion flower infusions or situations in which it is best to avoid this herbal remedy and choose an alternate solution. Taking this herbal tea for an extended period of time or in large doses may start having adverse effects on your mind and body, such as depression, fatigue, mental blurriness and motor coordination difficulties. Start with small amounts and always stay within the recommended dosage. While there seems to be no evidence to suggest that children cannot drink passion flower tea, it is best to check with a doctor for help in adjusting the dosage to the child's age and weight. Allergic reactions to this herbal tea may take the form of dizziness, confusion, an altered state of consciousness and even nausea, vomiting and arrhythmia. If this happens to you, then stop taking this tea immediately and if the symptoms persist, go to a hospital quickly. If you are using this tea topically, an allergic reaction will occur as a rash and skin irritation. Always apply a reduced amount of tea to a small portion of your skin to check for possible allergies. Since this is a calming tea, for people who are not used to it or may be taking other sedatives, passion flower may cause heavy drowsiness and a deep desire to sleep, difficulty concentrating, enhancing the effects of these medications, so be careful not to drive after drinking this tea. Passion flower tea is not considered safe for pregnant women as it may cause uterine contractions, which could prove to be dangerous. Since there is not enough information about the possible effects of this during breastfeeding, it is also best to avoid it at that stage. If you are taking blood thinners, this tea is not recommended for you as it may increase the risk of bleeding increasing the time needed for blood to clot. 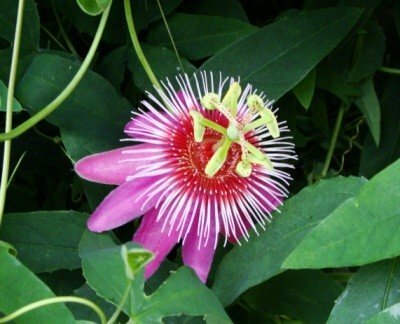 This also applies to medication for auto-immune diseases, as passion flower may enhance the effects of the medication beyond their safe level. Are you taking any other sedatives or antidepressants? If so, then please be careful not to drink this tea as it may boost the effects of these medications and become dangerous for you, reducing your inability to properly function on a mental and physical perspective. It is because of the ability of passion flower to enhance the power of any form of sedative that you should stop taking this tea if you are undergoing surgery. There is a possibility that not only it could interfere with the anesthesia, but also increase the risk of dangerous hemorrhaging. To fully reap all its benefit, you should learn how to make passion flower tea. Passion flower tea is made from fresh or dried leaves and flowers of the plant. This tea is actually so easy to make that the whole brewing process will leave you feeling less stressed. Start by bringing water to a boiling point (100ºC). Place 1 teaspoon of dried passion flower per cup of water in your teapot, or 1 tablespoon of fresh herb per cup. Pour the boiling water into your teapot and let the tea steep for about 5 to 10 minutes. Strain and add a bit of honey to sweeten your tea if you feel that you need to, but it this isn't necessary as the tea is actually quite flavorful. 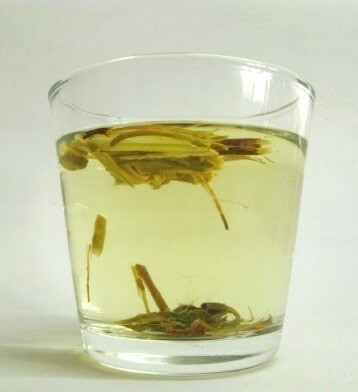 It seems to have citrusy notes, making it a great tea to drink after a heavy meal. Drink about 3 cups a day to calm your nerves. If you are suffering from insomnia, then drink your tea one hour before going to bed and try to not get distracted by things that could stop you from falling asleep. There are other herbs that have calming effects and that blend well with passion flower to give you a more interesting cup of tea. For example, blend with chamomile for a floral tea or add lemon balm for a citrusy aroma. 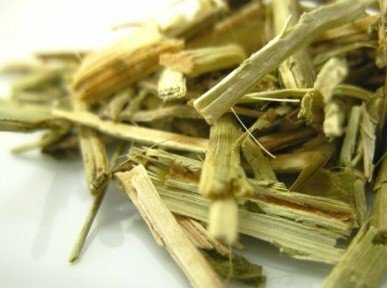 If you are drinking valerian tea for its sedative action, passion flower is a great herb to help tone down its strong flavor and aroma. Buy Your Passion flower Tea Today! Click on the image or on the link below to purchase from Starwest Botanicals your Passion Flower. If you experience trouble sleeping tonight, then make a cup of this wonderful tea and get comfortable. Using organic cut and sifted passion flower is the best way to make a quick cup of this relaxing tea. Buy your Passion flower tea now! 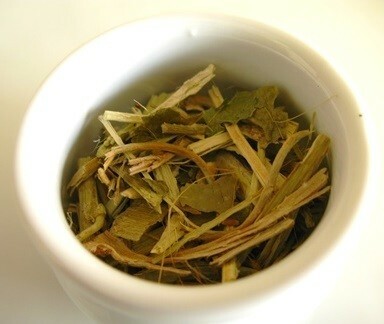 This is a great tea to have at home to help you deal with more stressful days and it tastes so good that you may drink it just for its flavor alone.